In March 2013, the Trieste offices of the Guardia di Finanza (Financial Police) informed the Trieste Prosecution Office of the Republic about the “state of emergency that actions of the Free Trieste Movement reflect, first and foremost, respect to Tax Authorities”. They were labeling us as subversive. However, we were only requesting compliance with our right: the rule of law. And, regardless to this and other intimidations, we kept going. As early as in June 2013, unprecedentedly, we put the Italian Government in default, requesting it to re-establish the correct provisional administration of the Free Territory of Trieste, which cannot be subject to the taxation of the Italian State either. In 2014, attacks against us reach their highest intensity: the Free Trieste Movement had to be stopped, by any mean. We withstood also attacks from the inside, the most deceitful. 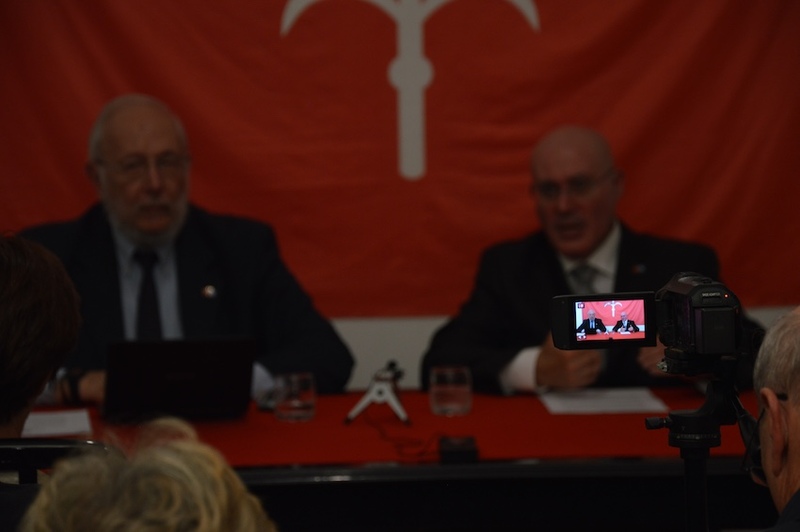 In 2015, Free Trieste supported the establishment of the new political-diplomatic representative of the Free Territory of Trieste: the I.P.R. F.T.T. 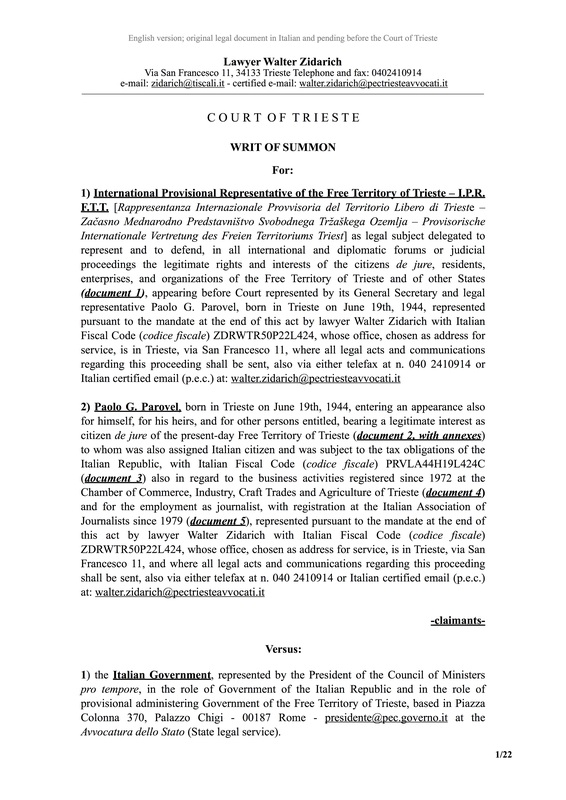 – International Provisional Representative of the Free Territory of Trieste. The I.P.R. F.T.T. was established the to the failure of the Italian Government to reply to the legitimate claims of Free Trieste and of the citizens, which did also revolve on taxation: the recognition of our own taxation is the core of our independent State. In 2016 it was taxation itself to be the center of the joint actions of Free Trieste and of the I.P.R. F.T.T. with the first reasoned tax objections. In 2017, again unprecedented, the I.P.R. F.T.T. summoned the administering Italian Government before Court for it to respond about the failure to enforce the separate taxation of the Free Territory of Trieste and of its international Free Port. This is civil legal action 1757/17, pending. In fall 2018, a new legal action is initiated, requesting the exemption from the Value Added Tax of the Italian State for the Free Territory of Trieste and of its international Free Port; once again, the administering Italian Government is summoned before Court. The first hearing is taking place in March 2019, and Free Trieste is collecting the adhesions of citizens and enterprises: LINK. In six years, we have reverted the roles. Right now, the “state of emergency” reported to the judiciary back in 2013 by the Financial Police consists in the refusal to comply with laws in force (laws of the Italian Republic itself) which fully recognize the Free Territory of Trieste. It is whoever refuses to enforce the law to be “subversive”, certainly not the Free Trieste Movement, which stands for legality.